Sometimes heaven puts someone in your path just when you desperately need them. Twenty six years ago, Delores Winder was that person for me and my family. The summer of that year my husband, David, suffered a major heart attack at the age of 36 while we were on vacation in Colorado. Approximately a third of his heart died. In the months following the event, he experienced erratic heart beats and said he sometimes felt like he was about to leave his body. Needless to say, we were very concerned. Our daughters were only six and three. We wanted their Daddy to help them grow up. It was also around that time that I was getting involved in healing ministry. Our minister invited Delores Winder to visit our church, tell her story, and offer her healing gifts. 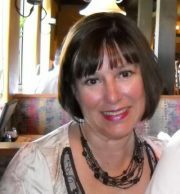 She was in her fifties, a petite woman with an incredible story. She had been desperately ill for years and had deteriorated almost to the point of death. Her bones had lost all their substance. A body brace held her upright. Coming from a conservative Christian background, she believed in Christ, but not in spiritual healing. She would have welcomed death, if it hadn’t been for her thirteen year old son, Christopher. A friend convinced her to attend a Kathryn Kuhlman service. Delores only hoped for a sense of encouragement for Chris; instead, she received a miracle healing. And the Gift of Healing. Surprised by Healing tells Delores’ story. I first bought the book a quarter of a century ago. Now, with the advent of the digital age, it is available to everyone through the Kindle store. You’d think it would be a “happily ever after” story, but some of the most interesting parts of the book detail the difficulties Delores and her friends and family had dealing with something they didn’t believe possible. Her faith and sanity were challenged. It took a while to come to terms with her new life and even longer to accept her mission to pay the miracle forward. I’m so grateful she rose to the occasion. My husband and I took Delores and her husband, Bill, out to lunch the Sunday she visited our church. I’ll never forget how she offered her hand to me across the table. She told me to squeeze her pinkie finger. It was spongy, rubbery—boneless. The finger was the only part of her body not restored to complete health at the Kuhlman service. After lunch as we were saying goodbye, Delores stopped and looked at my husband and said, “I can’t let you go without praying for you. I see a spirit of death on you.” She proceeded to offer a commanding prayer to release him from a negative entity and then prayed for his heart and longevity. From that time on, my husband’s heart settled down and his energy returned. David is now 62 years old. * His heart still looks damaged to the doctors and they are always amazed at his outward appearance of health and vitality. We live a pro-actively healthy lifestyle, but I’m convinced Delores delivered a supernal healing energy that resonates in my husband even today. I am so grateful he was able to see the girls go to their proms, graduate from high school, get married and meet our first grandchild. How much our family would have missed without the healing touch of Delores Winder. 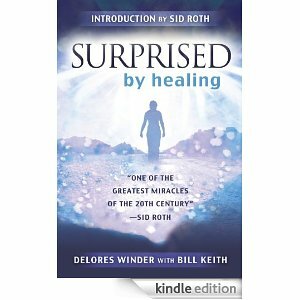 I encourage you to read Surprised by Healing and enjoy the Delores Winder story for yourself. My husband, David Taylor, died in an automobile accident last week at the age of 63. Our family believed that the healing gift of Delores Winder gave us decades together. Many people visit this particular blog. It seems fitting to re-post it, in thankful memory of David Taylor. I never knew about this. What a gift! And, now, you are one of His someones that come into people’s paths when they need someone desparately, or at least quite definitely, in their lives. Keeping you lifted in prayer and love.